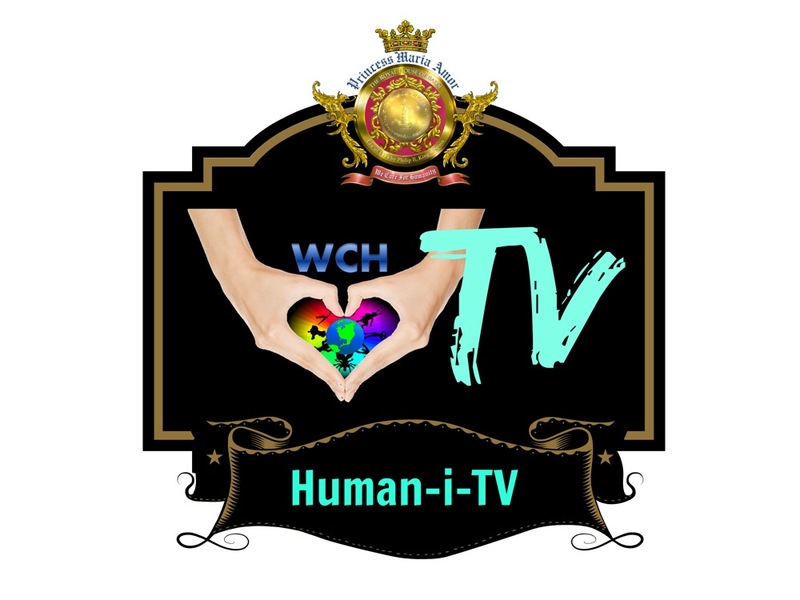 We Care for Humanity (WCH) organization is entering a challenging and exciting time, as the global issues and challenges confronting humanity continue to rise, so is the demand for advocacies. 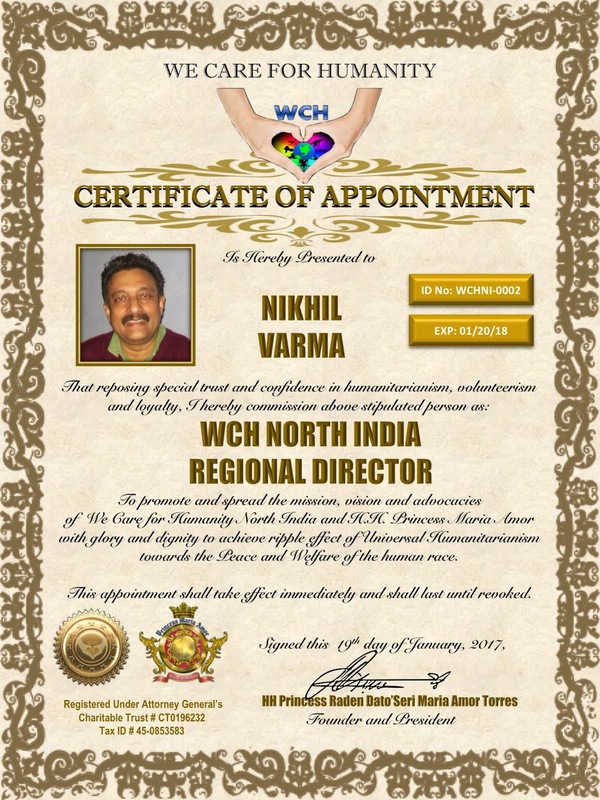 "India is the second largest population in the world, so you can imagine the amount of humanitarian efforts needed in the country. That's why we decided to put chapters by region so that we can serve the people with quality results and much focused humanitarian agenda. 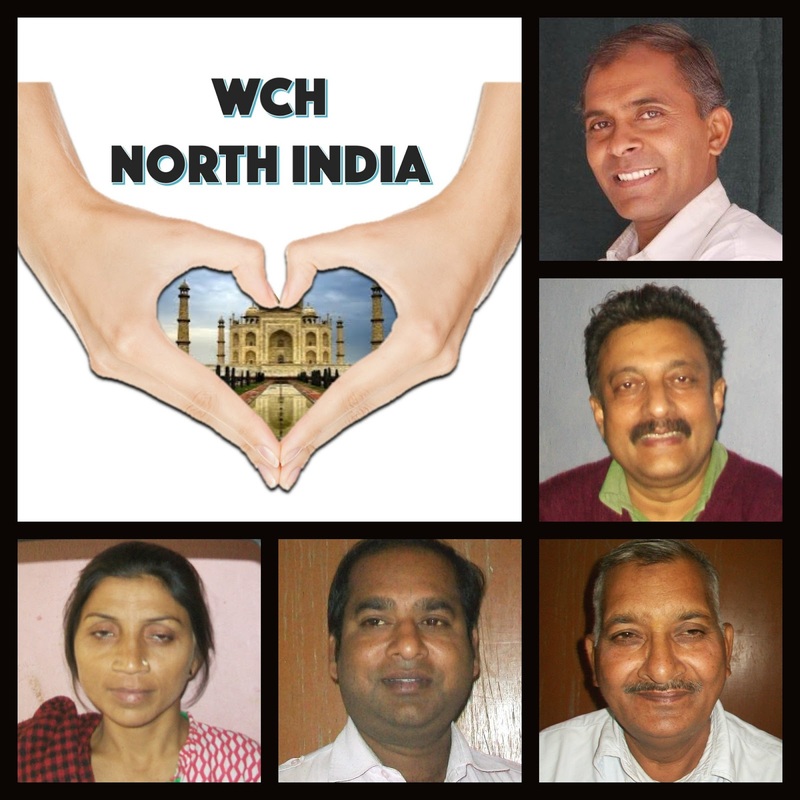 I am confident that with these group of dedicated and sincere individuals who are known for their vast contributions to their community, WCH will be able to extend our tradition of high quality advocacies and activism related to the world peace, eradication of poverty, women empowerment and community engagement of our North India beneficiaries. ", the princess said. Honored To Princess Maria Amor At "Sach Bharat" International Event . Now on it’s 2nd year, We Care for Humanity (WCH) celebrates, Global Santa, an annual Christmas Gift Giving program benefitting marginalized children in developing countries believing in the mantra: there’s a Santa Claus in each and everyone of us. 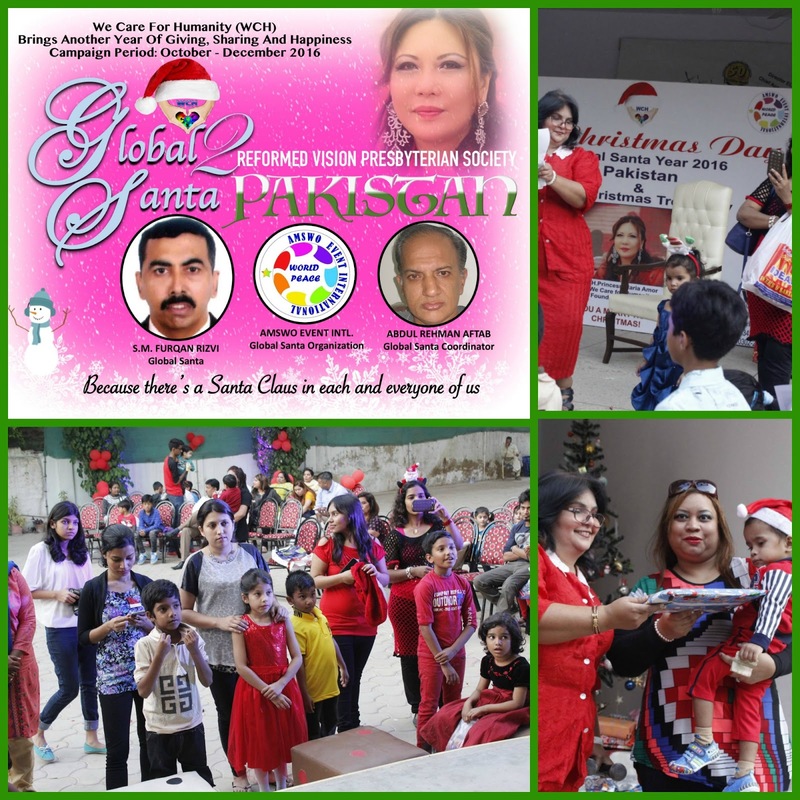 Recently in Karachi, the Global Santa was celebrated successfully through the support of Amswo International, an event organization facilitating charity events and medical camps headed by its founder, Mr. Furqan Rizvi and Janice Nazareth. WCH Publicity Ambassador, Abdul Rehman Aftab coordinated the event which was attended by 200 children and families from different community. My full name is Syed Mohammad Furqan Rizvi s/o Late Syed Karrar Hur Rizvi. I had born in Karachi, 03, December 1972. My father was in Pakistan Railway and I belong to a very poor family. My father died when I was 8 years old and few months left my mother died. When I was in College my elder brother expired due to sickness.Whole family responsibility came on my shoulder, due to my education is not enough that’s why did not get proper job and good salary. I am youngest in my family. We are five family members; I have 2 sons and one daughter. My wife is House Wife. My education is Inter (passed College) doing private job and running Al Muqaddas Social Welfare Org. I passed very hard time. When I started my Job, salary was very low due to my education. Even my salary was low and big responsibility on my shoulders from my family, I was helping poor and needy peoples and fulfill their needs. If somebody got an accident then I give them my services and bringing those hospitals and buy medicines for them. My family always disturb from my side because my salary was not enough to help others…That’s why one day I took decision that why not I open an N.G.O and work for humanity and no body going to stop me or disturb me from my work. I love to help others. 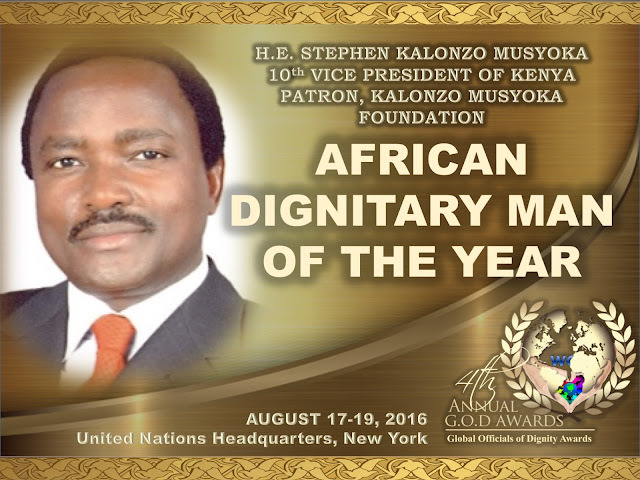 Amswo International established in year 2014. 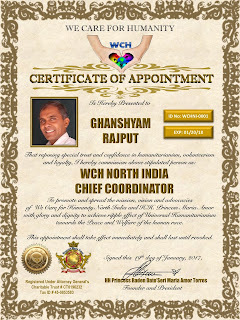 And we are arranging all domestic and International Events, Seminars, Forums, Wedding Ceremonies, free eye & ear camps. I have 23 years work experience in DDFC groups of Companies, Karachi. I am attached with Finance Department and received Award Shield on good performance. I am also attached with Media and doing Press Photography and worked also part time Police Volunteer 5 years. 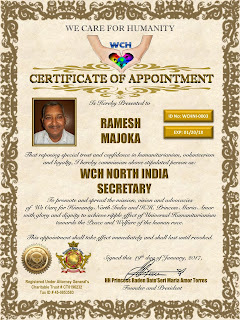 To help humanity is my first duty, I would like to do & give a very good name to WCH so the public joins WCH more. I feel very happy to work in this esteemed organization. With our experience we are able to remove poverty from City then province then country and in last Whole World. We Care for Humanity is very beautiful name as her work also very nice globally. 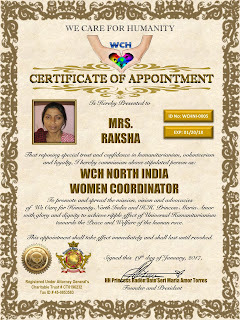 I want to promote WCH’s mission in Pakistan and provide awareness to Pakistan about WCH. My dream and first wish is to finish poverty from Country. Because, I know what is suffering when kids crying for food. I’m Abdul Rehman Aftab WCH Publicity Ambassador s/o late Engr. Aftab Ahmed Siddiqui, born in 18th February 1974 in Karachi, Pakistan. At the age of 9 months, I got polio. God took my health and gave me very good brain, I am very thankful to God around the clock. In 1996, I passed my Bachelor of Computer Science Degree from The International University, USA. In 1997, I passed my MCSE (Microsoft System Engineer) Certificate from Microsoft. I have now almost 23 years’ experience in IT. In 2001, I went Saudi Arabia and joined Al Obidan Groups Riyadh, as an IT Manager. In April, 2004 as a Team Leader I went Republic of Togo and Republic of Benin and completed $2.7 million dollars project for Al Obidan Groups, Riyadh. 15 April, 2004, the company sended me to Paris for a week workshop of Citrix Network. Upon my ability, Al Ahsa Hospital, Al Ahsa City, K.S.A offered me job as a System Administrator and I passed their interview in Riyadh and made 30 pages of report on their Systems, which was accepted by Mr. Abdullah at that time MD of Hospital and owner of this Hospital. My employer Al Obidan, do not allowed me to join Al Ahsa Hospital due to visa rules and regulations at that time. In September 2004, I traveled Republic of Philippines for spending my vacations and got Married with a Filipina and returned Pakistan in 25th January 2005 along with my Filipina Wife first time . Till present we are living here in Karachi. After the death of my very loving father in 2009, I becomes separated from my Sisters, brother and mother due to their fighting and their attitude , they don’t like that we spent my life happily. So, I and my Wife leaved them forever. I hate war and I want Peace and Love. Life is just like Sea Waves, sometimes up and sometimes down, Sometimes, I am visiting my Mom only. I worked very hard for my family and living now days happily. I am helping to others in any way, either I am giving them food, or helping in education that’s why blessing coming to me. . . I am Humanitarian, I love with Human due to my nature, and I am very Cool minded person and Kind. I am not greedy. I have two Kids; my elder daughter name is Absha bin Abdul Rehman. And Son 2 years old named M. Ali Abdul Rehman. I had passed very hard time. 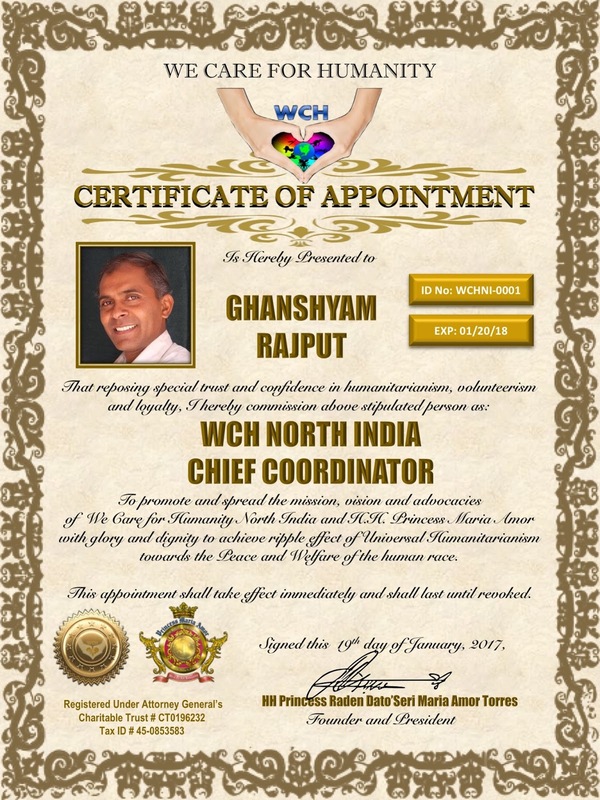 My role in WCH is Publicity Ambassador, and I am promoting WCH mission in my Country Pakistan, and learned too much from H.H. 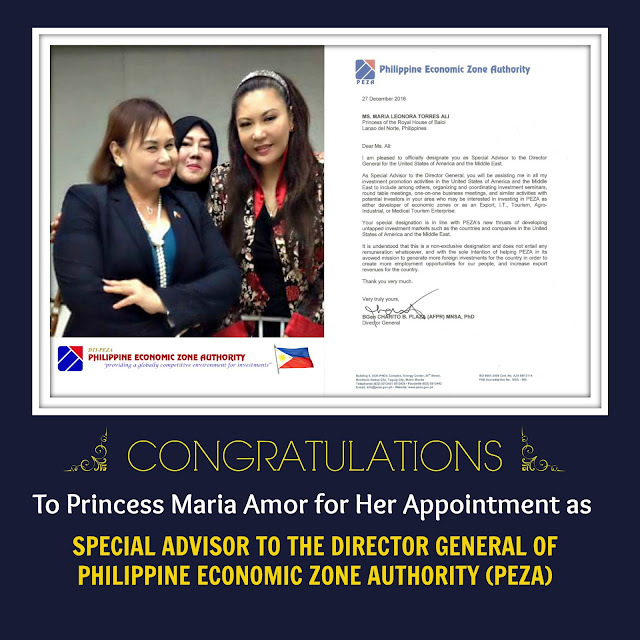 Princess Maria Amor. Due to my work for WCH and my nature both are matching with each other and I really want to open an Orphanage and through this project I am more able to promote and bring some projects in Pakistan. After Orphanage, I want to work on education and nature (clean drinking water is mostly a big issue in very poor areas of Karachi and Pakistan). 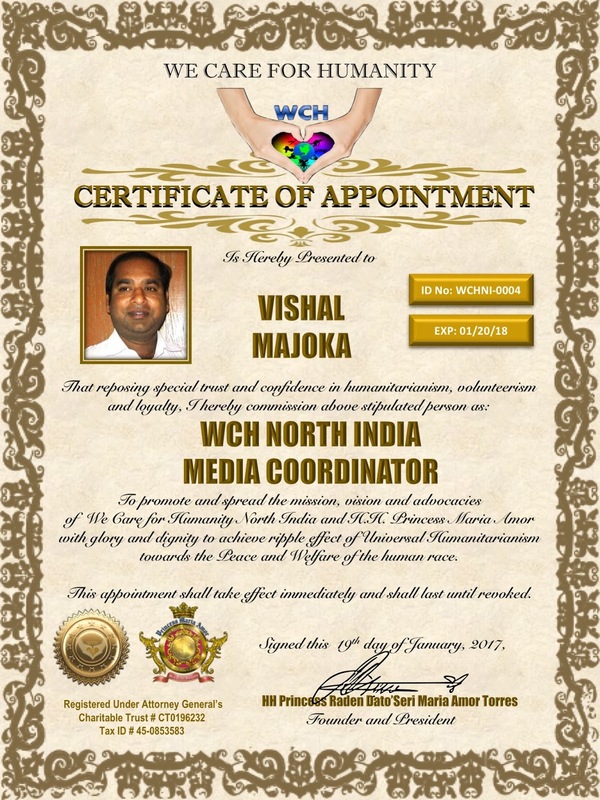 I want WCH properly come and work here and earned also. All projects must be name of WCH. 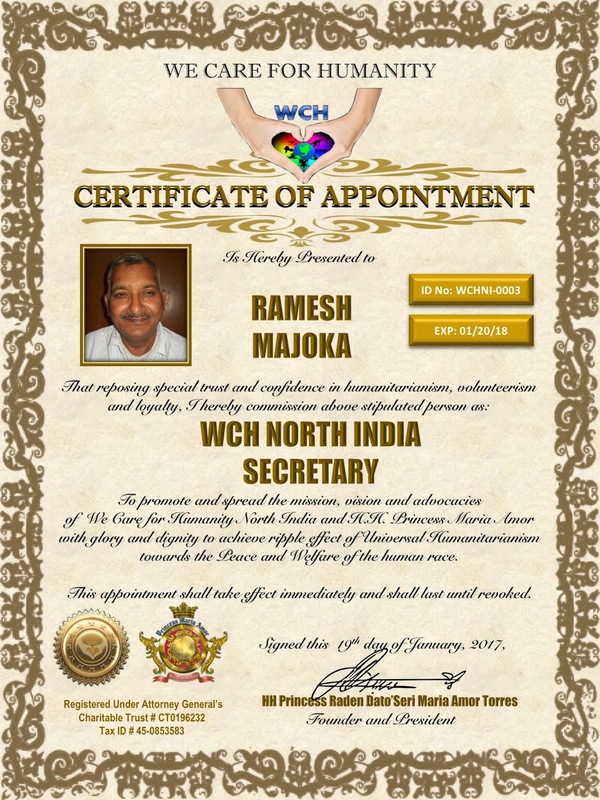 I want to serve mankind till my last breath and I want to do something very special for humanity and for WCH so they remembered until the End of World. If you do well with somebody then GOD must do well with you.